Hotel water damage is an unfortunate, yet regular occurrence. It is definitely something management can anticipate and ought to prepare for. Although not every loss is a catastrophe, many hotel water damage events, no matter how small, are best cared for as quickly as possible. Even relatively unimportant incidents, when left un-repaired, can structurally damage and weaken the property, lowering property value, destructive business credibility, and interrupting routine operations. Burst Pipes & Faulty Equipment — Hotels have significant plumbing and pipe systems to preserve, facility-wide. These commercial systems must serve numerous guests 24 hour, so they have to be reliable. Routine repair and maintenance of rusty, old, or leaky water pipes and malfunctioning equipment can prevent more costly repairs later. Basement or Crawl Space Moisture Issue — If equipment is kept in a damp hotel basement, or if the hotel has a damp crawl space, wetness problems will trigger water damages throughout the facility. 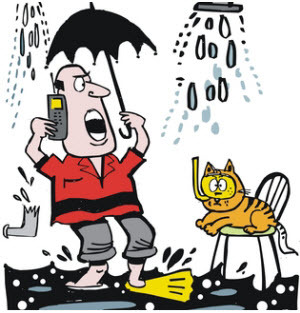 Expert basement waterproofing specialists can be spoken with to put together a customized option to certain scenarios. Sewage Backup — Sewage backup can trigger hotel water damage, contamination and potential health hazards. The degree of exposure and porosity of affected materials identify the extent of loss to the business. Although some flooring materials might be restored with fast professional action, particular home furnishings and fabrics may need to be either salvaged off-site or disposed of completely. 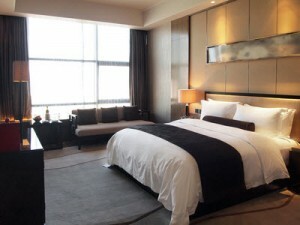 Hotel Water Damage Repair, Cleanup and Maintenance. Hotel water damage situations translate into major expenses for the business. Humidity and moisture promote structural damage, wood rot, peeling paint, along with mold and mildew. Unrepaired water leak cause the gradual wear and tear and deterioration of the facility. An un-repaired leak coming from on the hotel’s roofing can damage the ceiling, walls carpet and flooring underneath, not to mention furniture, electronic devices and the personal possessions of hotel guests. Furthermore, hotel water damage can also impact electrical wiring, creating a potential fire threat. Considering that hotel water damage restoration can be very pricey, the best damage control resolution is to have the establishment in good repair at all times. 24-hour Fire, Water, Mold, Storm Damage Restoration Services. We are ready to take your call at 888-651-2532. If you live in New Jersey, New York or any other city in the Tri-State area include CT and PA, contact AllStates Restoration for 24/7 fire and water damage restoration services. We provide a full range of hotels restoration services that include cleanup, repairs, and reconstruction. Storm & Flood Damage Emergency. Contact us now for hotel fire and water damage services in our NY, NJ, CT & PA service area. Any commercial establishment has a vested interest in minimizing loss. Although not every water damage emergency can be predicted or avoided, it helps to be prepared and have a contingency plan for possible risk circumstances. The strategy should be assembled well ahead of a possible emergency. In fact, that is the most effective way to decrease the period of business disturbance. 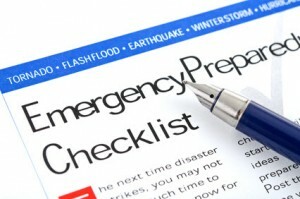 A comprehensive pre-paredness plan consists of the following: determining an evacuation and shelter strategy; training staff for emergency scenarios; purchasing backup generator and communication platforms; protecting business data; carrying adequate business disruption insurance coverage; and establishing a relationship with local restoration specialists. Hotel Room Cigarette Smoke Remediation. Hotel Marble & Granite Restoration. Call AllStates Restoration today to get help from our experience team. You can also contact-us at our contact page. For all your hotel water damage Repair, Cleanup and flooded basement water removal needs in the NJ NY area, trust AllStates Restoration to get the job-done right fast. To schedule hotel water damage restoration and cleanup appointment, call 888-651-2532 or click here.